Video clip synopsis – Megan Spencer shares her first experience of being filmed for a television broadcast. Mac Gudgeon talks about the constraints in writing for Australian soaps. Broadband MP4 television_bb.mp4 (5.5MB), suitable for iPods and computer downloads. 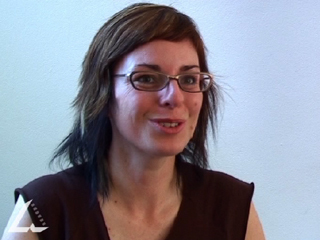 The interviews with Megan Spencer and Mac Gudgeon were recorded for the website From Wireless to Web, produced in 2005. Mac Gudgeon states that within a television episode it has to have written into the script a dramatic high point every six minutes. Why every six minutes? What is the governing influence that shapes the practice of writing a script for television? A verse from the song The Revolution Will Not Be Televised written by Gil Scott Heron, states “television, drug of the nation, breeding ignorance …”. Set up a debate on the topic that television has improved the quality of information broadcast to the public, not detracted from it. What is the difference between analogue and digital television?